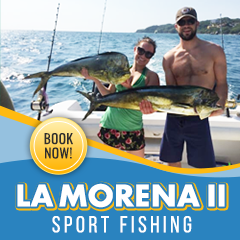 A vacation to Sayulita just is not complete without a morning or entire day spent fishing for sport fish off of the Sayulita coastline. 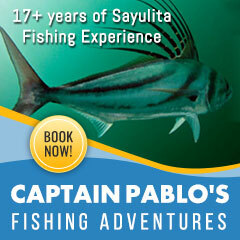 There are many different ways to fish in ocean and bay waters just off of Sayulita. You can also fish from the beach, from the rocks, or even in the estuary in the summer after a big rain. 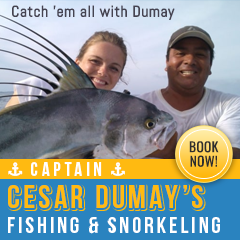 Surfcasting rods from the beach can yield an excellent catch of snook, jacks, and skipjacks. A small rapala or crocodile is recommended. The best fishing is in the morning or late evening when the waves are small. A fishing license is not required when fishing from shore or on the rocks. 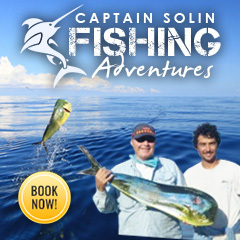 The license is included when you hire a local fishing company to take you out on an adventure. 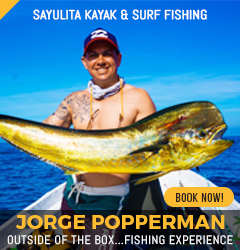 One option is to go fishing in Sayulita Mexico in a Mexican panga (open-bow fishing boat with outboard motor) which offers Sayulita visitors a great day of excitement as well as a chance to view the village and surrounding jungles and beaches from the Pacific. 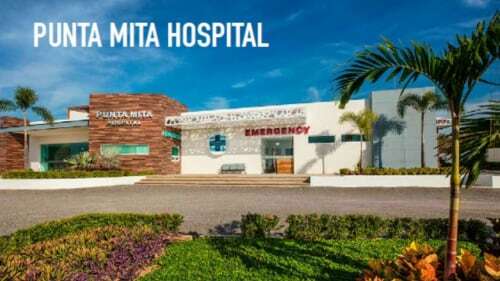 Success is almost always guaranteed and some of the more common fish include dorado (mahi-mahi), sailfish, marlin, tuna, red snapper, rooster fish, and bonita. 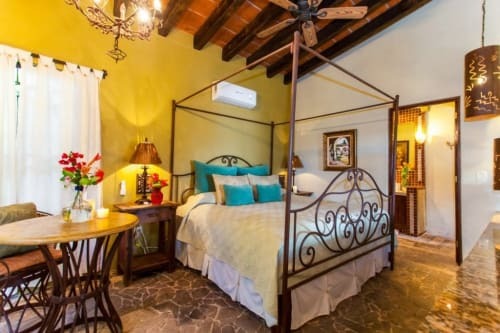 (See entire list below) The Sayulita panga is usually covered to protect you from the sun. Most captains provide ice chests and cushions. A small beach-launched panga is for up to four people with equipment, gas, license and boat captain included. 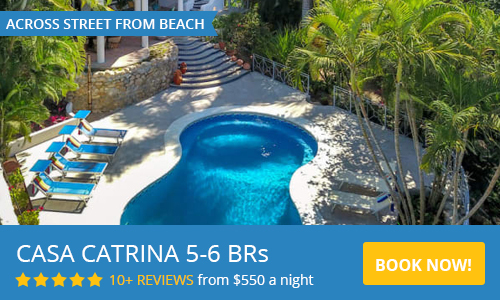 Make sure to bring a camera as you will most likely encounter whales (Nov-April), dolphins, turtles, and abundant bird life. 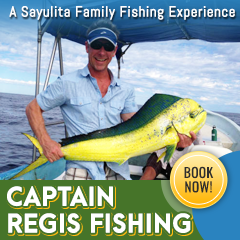 Another option for Sayulita fishing is to charter a professional fishing boat out of Punta Mita, Puerto Vallarta, or Nuevo Vallarta. 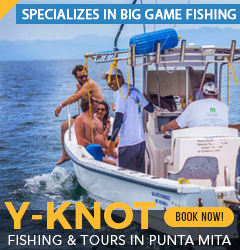 The boats are usually much for comfortable to ride in and with bigger motors, can get you out to the deeper/better fishing spots faster where you can catch GIANT game fish. 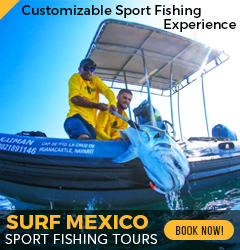 No matter what your budget/appetite allows, a fishing charter or fishing trip from Sayulita Mexico will surely add to the perfect vacation. 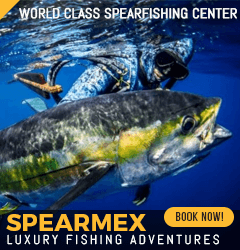 Snook are one of the most prized gamefish! They are elusive, spirited fighters! If you want to tangle with a fish that ́s bound and determined to give you a brutal fight... SNOOK is your fish.